...And Helena Rubenstein had so much good taste, I'm pretty sure it was oozing from her perfectly refined, scrubbed, and polished pores. Not only did her wildly successful beauty empire employ 30,000 people, making her one of the richest women in America at the time, but she was also an extremely stylish, fiercely saucy taste maker. 1. There was the lucite bed. That was lit from within. Ohmygod, I'm practically hyperventilating as I type this. The ability to work a light up plastic bed with dignity (and of course lots of Baroque flourishes— always a fan) is admirable. 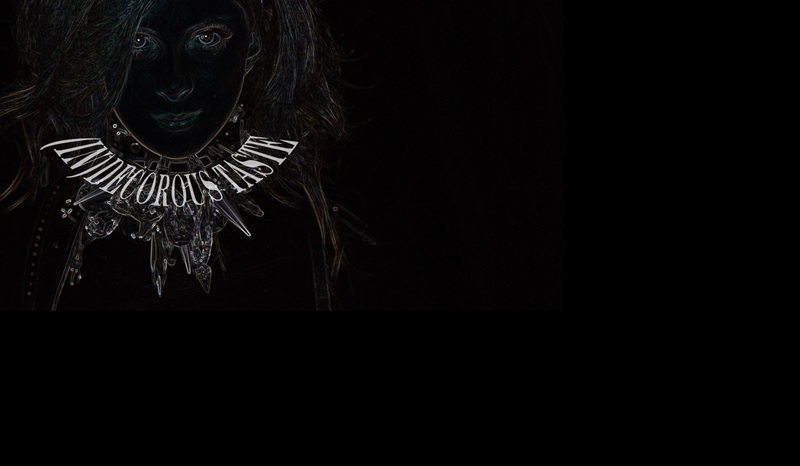 It was said that her style was a cross between "Byzantium and the flea market." I rather like that mix. Among the shimmer of the Venetian mirrors, serendipitous kitsch, and treasure-laden vitrines, the pièce de résistance was what all Rubstein initiates refer to with delight as the "plastic bed." Created out of Lucite by Rubenstein's package designer Ladislas Medgyes (who had previously used the material for powder boxes), the transparent bed lit up by means of hidden fluorescent bulbs. When Madame reposed upon it, the effect was of a transfiguration upon a crystal sleigh. 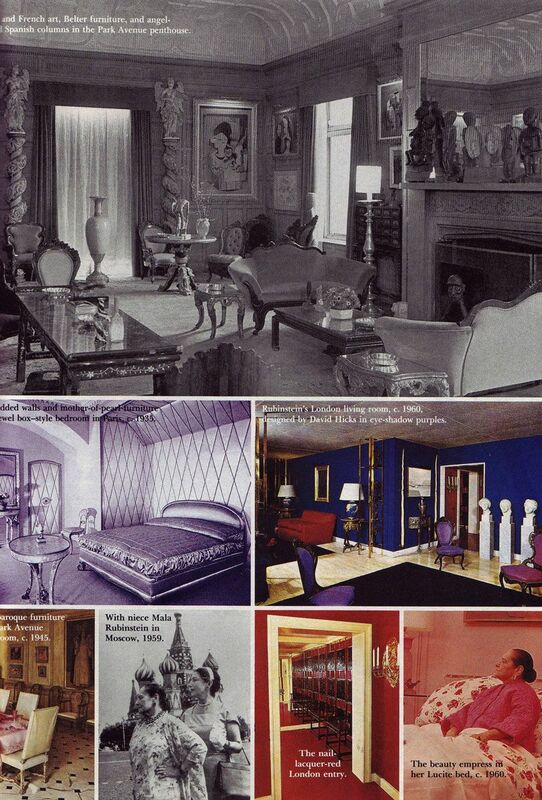 While Rubenstein loved her bed, it puzzles me that she did NOT feel the same about Cecil Beaton's transformation of her gothic style picture gallery into a "Japanese inspired bamboo folly." 3. Her fiestiness: When denied a Park Ave triplex because she was Jewish, Rubenstein purchased the entire building. 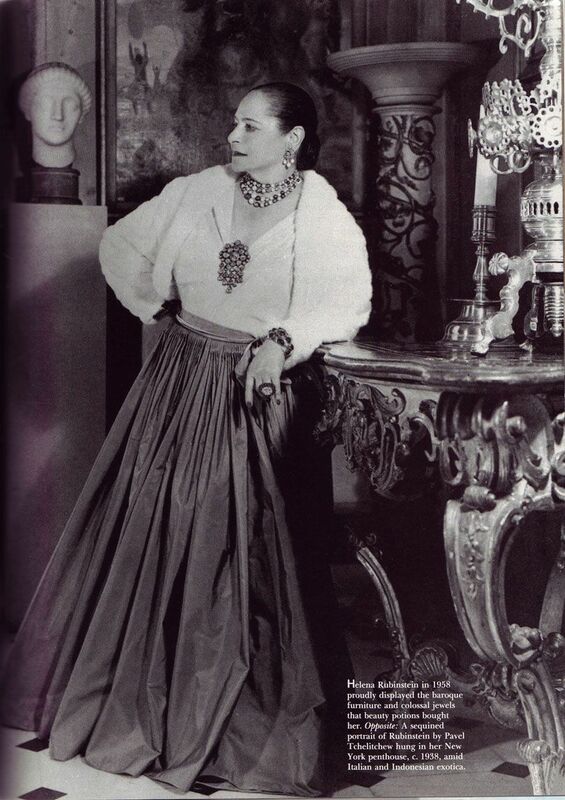 I don't run around calling everyone a style inspiration, but Helena Rubenstein, I welcome you with open arms, flashing lights, and Lucite confetti candles! I can see why you are inspired by her! Have always been a Fan of Helena Rubenstein - an incredible perfectionist - She had daring and great taste for her time-! It's said her employees called her "Hell on Wheels" because she would arrive at the various branches of her Salons unexpected - to check up on them-! Wish we could see more of that Lucite bed! Great post...I've always thought she was an incredibly cool chick! Love a woman who stands up for herself and expresses her soul! I do believe she lived the motto: if you can't go over the top, WTF?